Smartdop® XT6 performs a bilateral ABI/TBI on up to six sites in minutes. 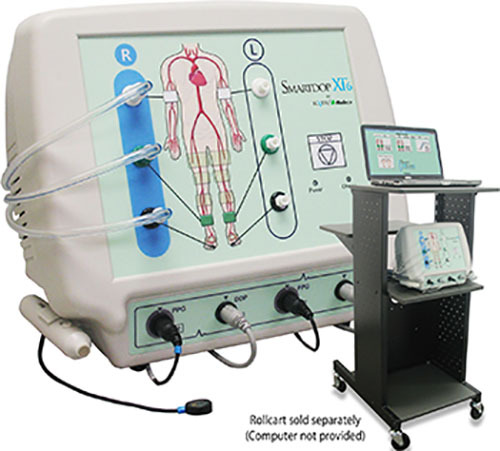 Has both arterial and venous testing capabilities. Smartdop® XT6 is intended for use in noninvasive evaluation of peripheral vascular pathology in patients.